Integrated congregational communications that promotes an open dialog of ideas. Churches these days require the tools and resources to integrate communications media—from e-newsletters, social media feeds, blogs and website—in order to reach today’s multifaceted audiences. 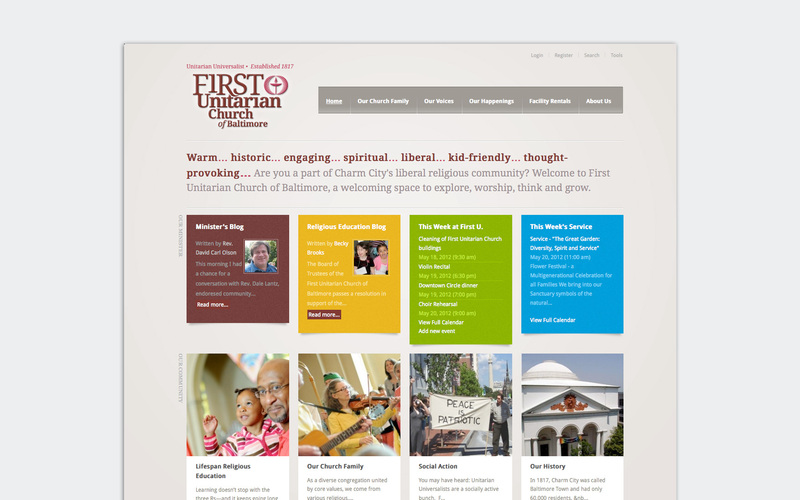 I helped this church revamp its tools to make it more user-friendly, aesthetically-pleasing and better-organized. 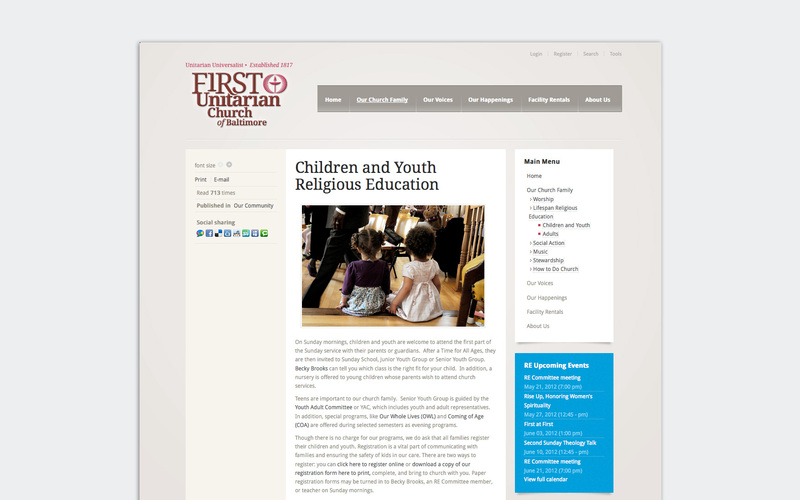 The website, along with its other communications tools consistently reinforce the church’s identity while broadening its appeal to the outside world. With the website, I also helped them develop a new logo that ties in the historical nature of the church with a typographic treatment that is modern but gives a gentle nod to the past.